Please note that the following links are provided as a courtesy, and do not imply an endorsement of that site or the views contained therein. If you would like to link to us, please click here. Coparenting Texas-Serves as a comprehensive site where parents and family court professionals can find forensic mental health service providers. The searchable resource directory provides detailed information about the types of services available throughout the North Texas area. North Texas Families in Transition Professionals- Licensed professionals who practice in Collin, Denton, Dallas, and Tarrant Counties and the surrounding areas who are committed to supporting families in transition and supporting diverse interventions available for assisting these families. Tarrant County Family Professionals- As independent practitioners, we frequently work with one another, taking a team approach to helping families overcome difficulties associated with family court involvement. We believe in maintaining healthy boundaries and clearly defining our roles in working with families, while empowering them to reach their maximum potential. Forensic Counseling Services-, Custody evaluations, adoptions, parenting coordination, parenting facilitation, supervised visitation, and other professional services. Kevin S. Weatherly, Ph.D- Dr. Weatherly provides clinical and forensic psychological services to clients primarily in Hunt, Rockwall, and Kaufman County, TX. Clinical services include therapy and comprehensive psychological evaluations for children, adolescents, adults, and their families. Forensic (court ordered) services include Court Ordered Child Custody Evaluations as well as comprehensive psychological evaluations for children, adolescents, and adults. Heath Counseling, Pare Underwood- Counseling for children, adults, and families. PSP Professional Services- Counseling services to children, adolescents and adults. Our counselors provide services in individual, group or family settings. Bilingual services available. Beckloff Pediatric Behavioral Center- A counseling and educational center focused on helping kids and teens. Children First Counseling Center- Children First is a nonprofit counseling agency serving Grand Prairie and surrounding areas. Counseling services are available for persons age three through adulthood provided by licensed, masters degreed professionals. Children First has three programs: General Counseling, Adolescent Services, and Batterer Intervention and Prevention (BIPP). Confidential Care Professional Counseling- Linda Miller-deBerard has over 28 years of experience helping clients learn to communicate, connect, and heal from past wounds within the context of their relationship. The Parenting Center, Parent Education, services for families raising children between two homes, and Therapy. CCD Counseling- Offering a number of services for divorcing parents including collaborative support, workshops, counseling, parenting facilitation, and supervised visitation in Denton, Lewisville, and Decatur. Integrated Healthworks- Integrated Healthworks is a mind, body, spirit, and life center dedicated to providing wellness services for the whole person to improve the quality of life. In keeping with this commitment, our center provides therapeutic counseling, play therapy, educational and psychological testing, co-parenting training, and life coaching. Sharp Family Services- The staff at Sharp Family Services provide interventional education and counseling to individuals and families to empower them to become who they were created to be and bring peace to troubled lives. Child Study Center, provides diagnosis and treatment services to children who have, or are at risk for, developmental disabilities and related behavioral and emotional and dental problems so that these children may achieve their full potential. Family First, WFAA's frequent news reports, series, in-depth special assignments, and documentaries showing people and programs which are helping families grow stronger. Divorce As Friends, as seen on Oprah! Stop the Conflict Course with Bill Ferguson. Learn how to end conflict, heal hurt, remove upsets, stop arguing, resolve issues, restore communication, and if necessary, part as friends. Other Texas coparent education programs outside of the DFW area. Texas Counseling, Social Studies, adoptions, parenting coordination, parenting facilitation, supervised visitation, and other professional services. Détente's Divorce Mediation- One neutral family lawyer and a counseling professional skillfully guide a couple over legal, financial, and emotional hurdles to reach well-informed private agreements that work for everyone. Sharp Family Services- Rahna is on the Denton County approved list of social study providers. She also performs similar services for Wise and Collin Counties. Please contact her with your needs for a social study in contested custody cases, adoption social studies or other assistance in high conflict issues. Mosher & Associates- Attorney At Law, Mediator, and Parenting Coordinator. Systems Mediation - J&L Human Systems Development provides parenting coordination services to families as well as training for service providers using a family systems model based on Texas family law. Rainbows offers training and curricula for establishing peer support groups for children, adolescents, and adults who have experienced loss due to divorce or death. Kids Metroplex provides a listing of area parenting support groups. Healed Without Scars Ministries - an organization that provides tools and support to help heal and restore individuals who have gone through a divorce, separation or any other painful breakup. Carlos and Clarissa Phillips know first hand about the pain that comes from these situations and want to help you become healed without scars! NAMI- NAMI is a grassroots, family and consumer, self-help, support, education and advocacy organization dedicated to improving the lives of persons with serious mental illnesses, also known as severe brain disorders. Kaufman County Bar Association - Legal clinic. City Square - CitySquare’s Legal Action Works (LAW) Center provides comprehensive legal services to low-income families who could not otherwise afford legal representation to handle family crises. ArrearsCalculator.com - accurately and easily calculate child support/alimony arrears online. Determine how much support is owed. City Square - Exists to fight the root causes of poverty by partnering with those in need. Working together as a community, we feed the hungry, heal the sick, house the homeless and renew hope in the heart of our city. Scott D Clarke, CFP - Certified Financial Planner and Certified Divorce Planner in the DFW area. Attorney General - As the official child support enforcement agency for the State of Texas, the Office of the Attorney General provides services for parents who wish to obtain or provide support for their children. Brighter Tomorrows - The mission of Brighter Tomorrows in Grand Prairie is to empower survivors of domestic and sexual violence. New Crossroads - Battering Intervention and Prevention Program (BIPP) program. Texas Council on Family Violence - 512-794-1133The Texas Council on Family Violence promotes safe and healthy relationships by supporting service providers, facilitating strategic prevention efforts, and creating opportunities for freedom from domestic violence. Dallas Domestic Violence Resources - resource for Dallas and surrounding areas for Domestic Violence information. Child Protective Services, For reports of abuse or neglect. The Family Place, The Family place hotline, 214.941.1991, offers 24-hour crisis counseling, information and referral for victims of family violence. The mission of The Family Place has been to eliminate family violence through intervention and proactive prevention, extensive community education, advocacy and assistance for victims and their families. Excap - Child Abuse Prevention through Parent Aide Mentor Program, Families First, Shaken Baby Syndrome Education, Healthy Families. The Women's Shelter- Services include case management, counseling, specialized children’s programs, transportation, clothing, housing assistance, legal advocacy and links to community resources. Safe Haven- exists to eliminate domestic violence in Tarrant County by sheltering victims, by assisting victims to overcome and escape abusive relationships, and by preventing abuse from occurring through intervention and education. Genesis Women's Shelter- To provide quality safety and shelter to battered women and their children through crisis intervention and short-term crisis therapeutics and to reduce the occurrence of domestic violence in the Greater Dallas Area. Texas Family Violence Shelters- A list. The Warm Place-The WARM Place is a grief support center for children, ages three to eighteen, and their families, who have experienced the death of someone they love in Tarrant County. The Compassionate Friends- The Compassionate Friends is a national nonprofit, self-help support organization that offers friendship, understanding, and hope to bereaved parents, grandparents and siblings. There is no religious affiliation and there are no membership dues or fees. Forensic Counseling Services- Forensic Counseling Services is a member of the Supervised Visitation Network and is committed to providing services that meet and exceed recognized professional standards for supervised visitation. FLP Faith and Liberty's Place facilitate visitation with the non-custodial parent. Family Resource Center of Texas- Serving East Texas. Bookstore- Our recommended reading and media. AFCC- Handouts and resources for families. AOK- Assisting Our Kids offers excellent video vignettes and a recorded live online class for families raising children between two homes. 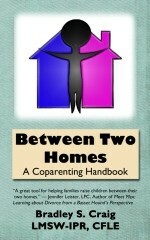 Cooperative Parenting Blog- Information and support for co-parenting. Sesame Street - With Little Children, Big Challenges: Divorce, Sesame Street has created much-needed resources for families with young children (ages 2-8) as they encounter the tough transitions that come with divorce. Our Family Wizard Custody and Communication Made Easy. - The OurFamilyWizard® website - Coparenting and shared/joint child custody management for divorced or unmarried parents. Parenting time, visitation schedules, activities, expenses, messaging, journals and more. Up to Parents A very helpful websit supporting coparenting. Family Support Services - The Family Support Services Division of HHS&VS is the largest provider of basic needs assistance in Travis County. Services are provided at seven community centers - two of the sites are located in central Austin while the other five serve the rural areas of the county. KidsStay.org-A child-centered site for parents who are ending their intimate relationship. The concept is simple. When parents separate, their kids continue to reside in the family home while parents alternately move back and forth to parent their children in the home. A good article is available here. Internet Visitation Dedicated to those wanting to learn more about 'Virtual Visitation'. If you are a parent or family of divorce and want a better way to communicate with your children when they are not with you, then this site is for you. SingleSuperDad.com The online lifestyle resource in DFW for single fathers with resources for all fathers. Parenting Coordination Central An all inclusive site offering valuable up-to-date information to parents and professionals on parenting coordination. It is a central location designed for professionals to share their experiences and expertise. The goal is to increase awareness and provide educational material on the process of parenting coordination. Parent Alienation Awareness Our goal is to educate the general public, the schools, police, counselors, religious leaders, and more, about this growing problem. Our goal is education. We believe that with education comes understanding, and the will and power to stop the emotional and mental abuse of children. Divorce Recovery Suite Divorce chat room, state statutes, collaborative law center, virtual library, and other resources for divorcees. Born Learning An innovative public engagement campaign that helps parents, caregivers and communities create quality early learning opportunities for young children. Child Care - Search for child care in Texas. Kids Metroplex A list of parent resources for Dallas and Fort Worth. Coparent Pro Software to assist coparenting. Share Kids ShareKids.com is a secure online service designed to assist in co-parenting management - providing tools to manage 'share / access schedules', communications and correspondence, medical information, shared expense and support accounting , personal records, activities and events, friends and contacts, school info and homework, diaries, photos albums and much more. A comprehensive 'privilege manager' allows guests and relatives to see only what you want them to see. Comamas Support for the mother and stepmother. Divorce Net The Net's Largest Divorce Resource since May 1995! Search for professional services and resources for each state. Visit their interactive bulletin boards on Custody & Visitation, Divorce Mediation, Parenting Issues, Stepfamily Issues. Legal Help USA Professional legal aid is now available from a nationwide team of expert lawyers that provide help and assistance with all legal related issues. Millenium Divorce Sign up for their free newsletter, read their articles, and review laws for your state. Kids In The Middle Kids In The Middle in St. Louis, MO helps children, parents and families thrive during and after divorce through counseling, education and support. JointParents Raising a child after a divorce or separation is challenging for parents. JointParents.com provides the tools to keep parents well organized and communicating effectively. Kids Watch Allows you to specify the time your children can spend on the computer, access the Internet or play games. Time Control helps you block unwanted software from being downloaded, prevents overuse and helps you to balance your child's day. Child Welfare League of America CWLA is an association of almost 1,200 public and private nonprofit agencies that assist over 3.5 million abused and neglected children and their families each year with a wide range of services. Special Needs Family Offers family friendly fun and special needs resources to enhance the quality and fun of family life with special needs. Babycenter Your complete resource for pregnancy and baby. The site is dedicated to helping other expectant and new parents find the in-depth information, a supportive community, and thousands of baby and maternity products they need. This site is a great site for providing information related to behaviors of infants and toddlers, such as separation anxiety that can be expected from raising children in two homes. BabyZone The leading online provider of unique personalized content, tools and community features for new and expectant parents. With more than 10,000 pages of proprietary content and dozens of customized tools, the site seamlessly guides the journey from preconception through parenting, including providing local parenting information and resources in more than 70 U.S. markets. Positive Parenting Online Dedicated to providing resources and information to make parenting rewarding, effective, and fun. Shared Parenting Information Group Promoting responsible shared parenting after separation or divorce. Families Through International Adoption FTIA helps families learn about international adoption. Your Social Worker Helping folks resolve problems related to personal, marital, child, adolescent, family, parenting, separation, divorce, and child custody and access issues with services such as counselling, mediation, assessment and more.